Robert Sweeney, named after his grandmother Lizzie Sweeney of Donegal! 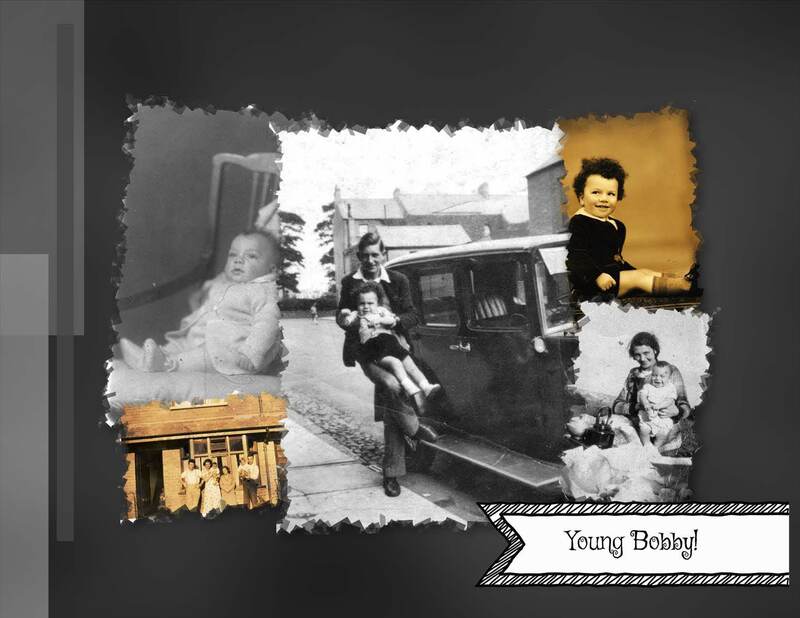 Referred to as “young Bobby” – he was born in November 1934 at 41 Cherryville Street, Belfast, the home of his maternal grandparents. 23 Vandyk Gardens becoming his family home shortly after. Young Bobby attended Whitehouse Primary School in Belfast from 1938 until April 1941, when his family was bombed out of their home during the Belfast Blitz. After the destruction of his home and many other areas of Belfast, his family returned to live in his paternal hometown of Ballymoney, Co. Antrim. He was admitted as an evacuee from Whitehouse Primary School, Belfast, to Lislagan Primary School in May of 1941. Etta M. Young, Principal wrote: “During that time he was a regular attender and an obedient pupil”. In March of 1943 he continued his education at the Model School, where he remained until he “passed through the Seventh Standard”. In 1949, as Bobby had passed the 7th Standard, his formal school years were over. 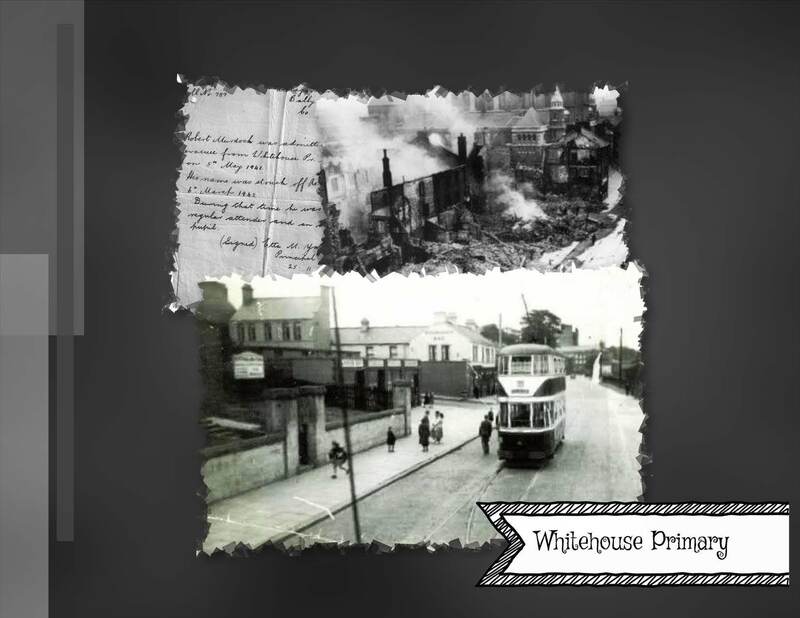 Whitehouse Primary School, Belfast & Damage of the Blitz! In 1952 Bobby joined the Royal Ulster Constabulary (RUC) – he left his home in Ballymoney and entered the RUC training depot in Enniskillen, Co. Fermanagh. In February of 1957 he married Kathleen, who hailed from Londonderry. Together, they set up house in Eglinton where they lived until 1961 and had their first two children. 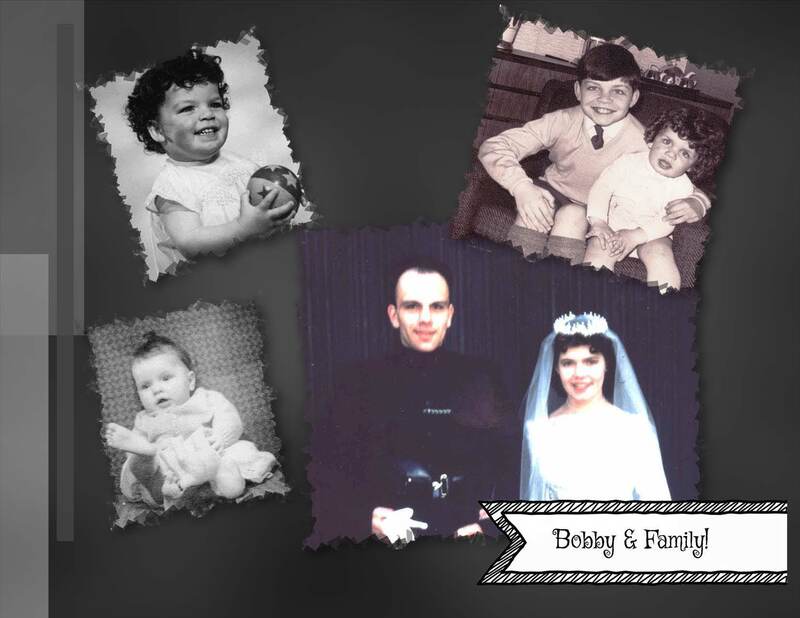 Over the next six years Bobby and his wife had two more children and he continued to work for the RUC. The sixties were a difficult time in Ireland and Bobby decided he was moving his family across the Atlantic. You see he had always wanted to immigrate to Canada, something his wife wasn’t as enthralled with as he. However, in May of 1971 the entire family had left their homeland, family and everything they knew to move to “small town” Ontario. Once again, Bobby joined the local police force, with the belief that he and his family were much safer than him being a member of the RUC. The family was settling into their new life and new home when tragedy struck. On 19 Jun 1972, while on duty, at the age of 37, Bobby was shot during a domestic dispute. It was the first incident of its kind in the town in over a fifty year period. After shooting Bobby, from less than eight feet away with a double barreled 12 gauge shot gun and causing major damage, the perpetrator committed suicide. Surprisingly, and much to the amazement of the medical team who revived him twice – Bobby survived. He lived with over 200 shot gun pellets in his chest, part of his right arm having been blown off along with chronic lead poisoning. 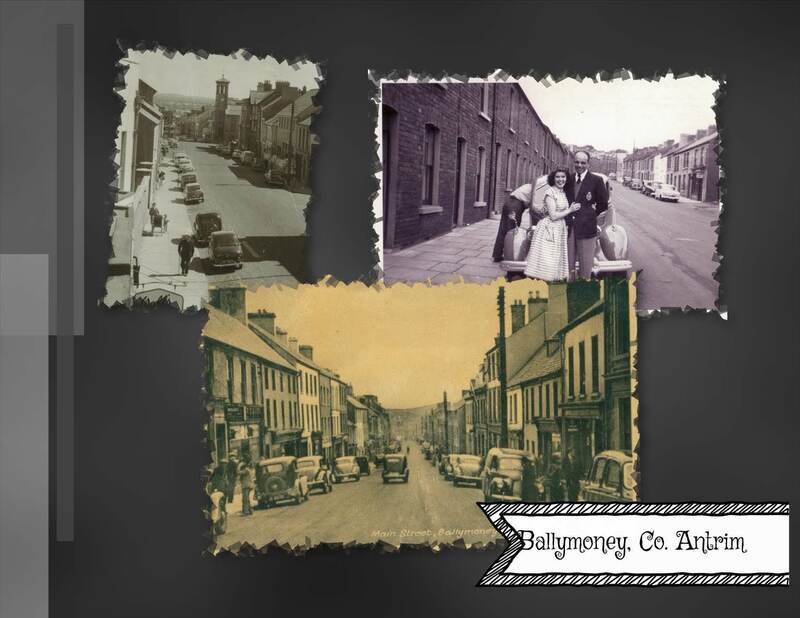 In the summer of 1973 he and his family returned to their homeland and started over in Ballymoney. Bobby purchased a local pub, which he ran along with Kathleen. His children attended school, were making new friends and were very much enjoying having their extended family around once again. 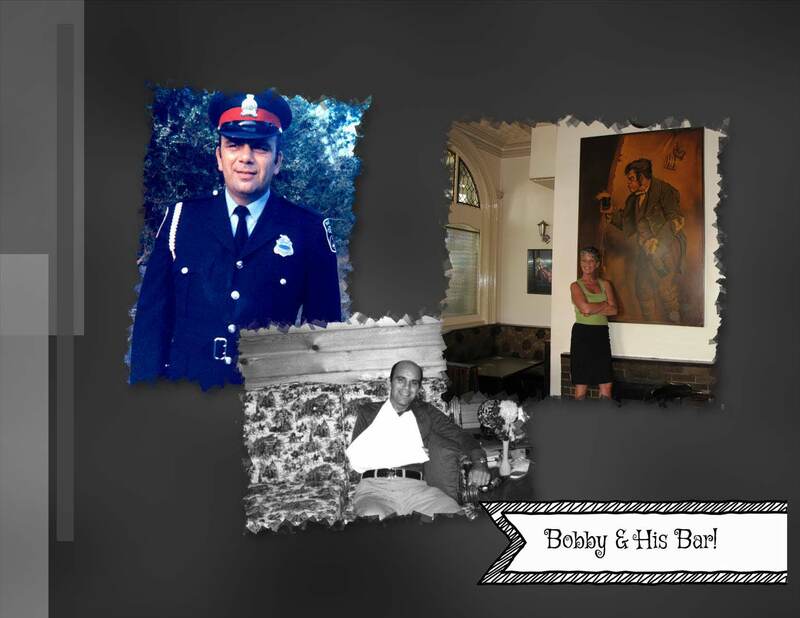 Bobby – Before & After the Shooting; and His Bar! Two years later with the summer of 1975 approaching, yet again Bobby was yearning for Canada. The family, not all of whom wanted to leave Ireland, made the Trans Atlantic trip one more time! Due to his injuries resulting from the shooting; Bobby could no longer work as a police officer, and joined the prison guard service. 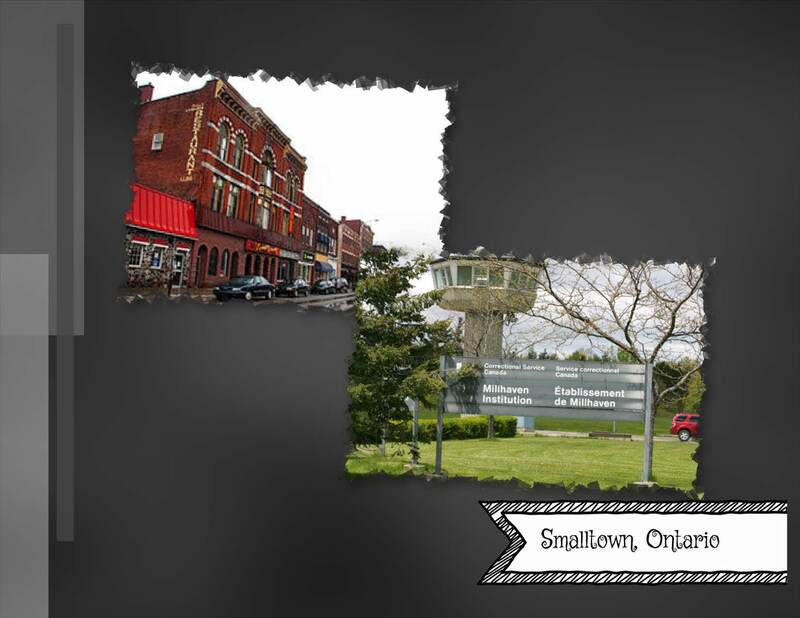 He worked for the next several years at Millhaven Penitentiary’s SHU (the Special Handling Unit) until he was medically retired. On Apr 24 1992 Bobby, who had no fight left, succumbed to cancer which was exacerbated by the wounds he had endured and lived with for the 20 years prior. One more time, Bobby went home…. He is buried in a beautiful spot in Altnagelvin Cemetery in Londonderry. You see over the last several years of his life, Bobby wanted to go home, however, no one expected it to be like this! Was Bobby perfect? Like most of us no! Do I miss him and love him? Absolutely! 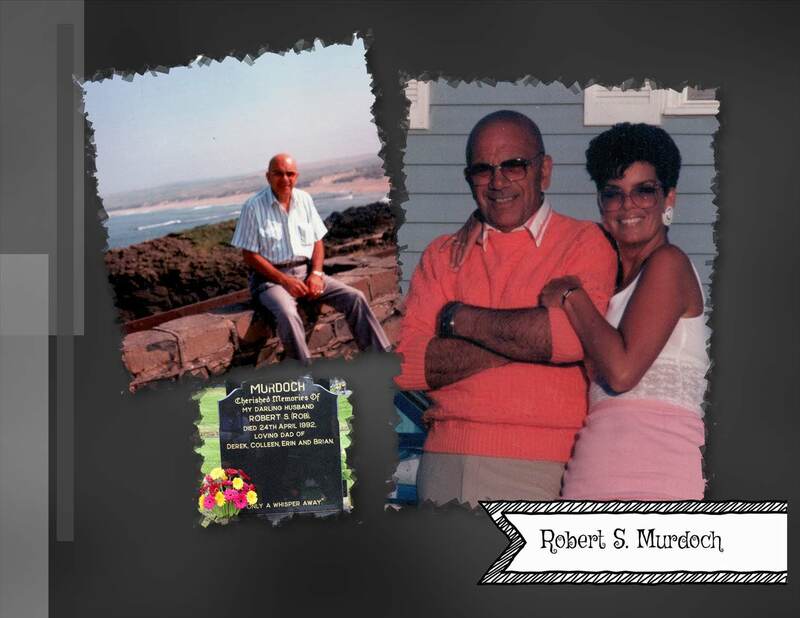 He was my father – Robert Sweeney Murdoch aka Bobby. As his headstone reads: “Only A Whisper Away”! This entry was posted in Burial Records, Co. Antrim, Co. Donegal, Family History, Geneaology, Ireland and tagged Ballymoney, Belfast, Belfast Blitz, Co. Antrim, Co. Londonderry, Family History, Geneaology, Murdoch Family, Sweeney Family. Bookmark the permalink. Colleen, this is a wonderful tribute for your father. A man to be remembered! Thank you for reading; it was a difficult one to write. Sadly, he died much too young. However, on a positive note… he beat someone out of an extra 20 years! He should have died when he was shot. At one point his heart stopped for over 3 minutes; the medical professionals never quite understood how he had survived. Maybe it’s just the “stubborn Irish” thing! Take care. I’ll bet it was the Irish! He wanted to be sure you would get to know him! Thanks Sue, like all of us, he wasn’t perfect; but I still miss him! As always, thanks for reading; hope you’re well. Good afternoon and thank you so much! For Mother’s Day each year, I ask for the same things. New annuals, cedar mulch and this year some more perennials! I just love working in the garden; too bad tomorrow is Monday already! 😀 Have a great day and thanks again!